Before the water pump came to Mulombwa, rain was both a blessing and a curse. Liliana and her older sister gathered water several times a day from a reservoir that Liliana says was “left by the ancestors” — a manmade pond just outside of town. In the rainy season, the water was plentiful. 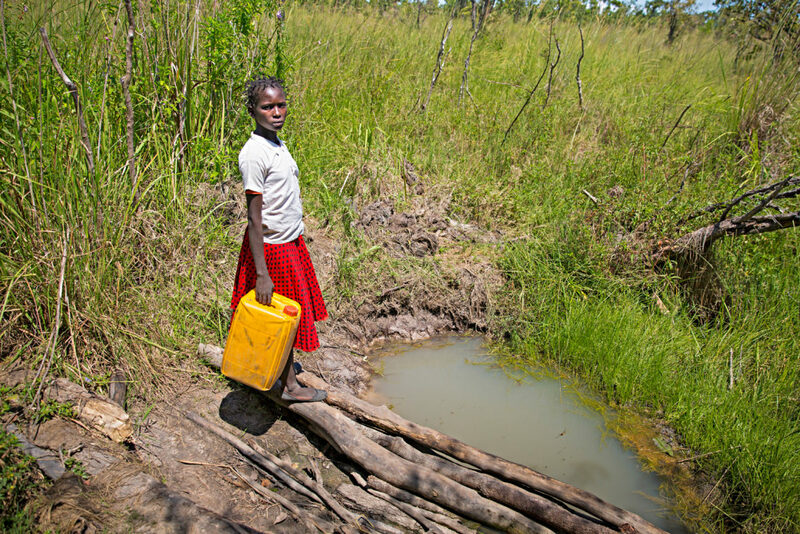 In the dry season, they would scrape new holes in the ground and wait for them to fill with groundwater. Sometimes it worked, often it didn’t. Liliana’s brothers and sisters got sick from the water, and so did she. Liliana often missed school due to diarrhea. Liliana remembers when Concern first arrived in Mulombwa. They presented to people in the village and told them that they would build a water pump, but in the meantime the community was told they should boil their drinking water to make it safe. They spoke about lots of other things, too, like the importance of handwashing and keeping household plots tidy, and they helped families to construct latrines. They also asked the community to gather materials to help construct an enclosure for the pump. Everyone got involved. The pump was finally constructed last year and Liliana couldn’t be happier. 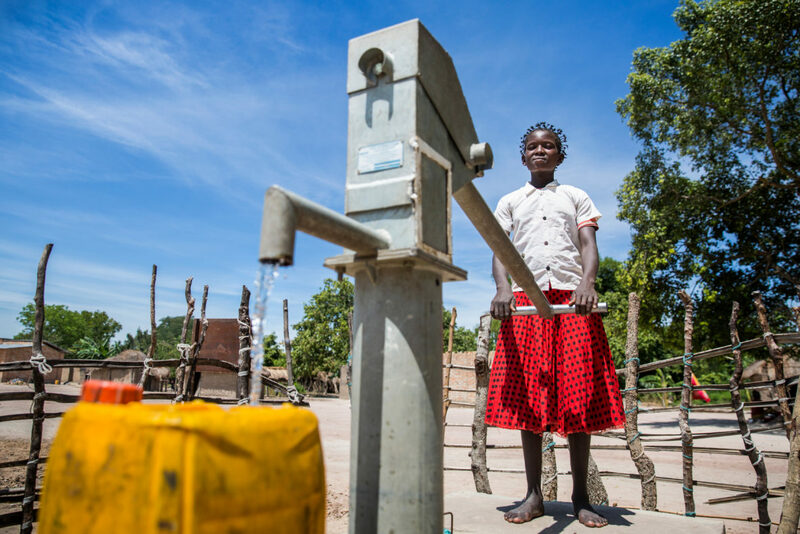 Liliana used to spend hours every day just getting water for her family. “Now it just takes me two minutes fetch water!” Plus, she can get more water in each trip. “With my spare time, I can help my mother around the house and do my homework.” And now she doesn’t get sick so much so she hardly ever misses school. Her studies are especially important because when Liliana grows up, she wants to be a nurse. “I want to heal people,” she says. Liliana says that if the pump ever broke down and she had to go back to the old water source, now she knows to boil water first. But she’s not worried about that anyway. The pump is looked after by a water management committee elected by the village, and the community is fundraising to pay for ongoing maintenance. Her mother pays 500 francs into the fund every month. There is nothing more essential to a healthy life than clean water. This statement couldn’t be truer for Liliana and her entire community. 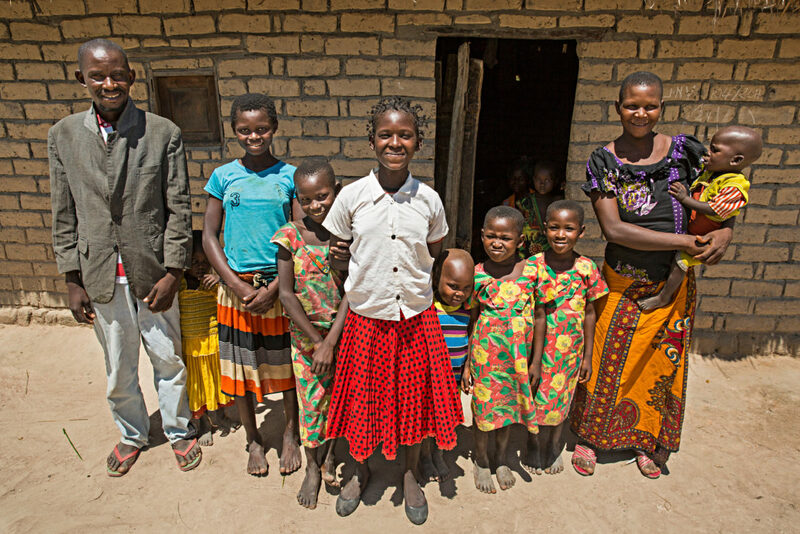 Thank you so much for your support in bringing clean water to Mulombwa and other communities around the world.